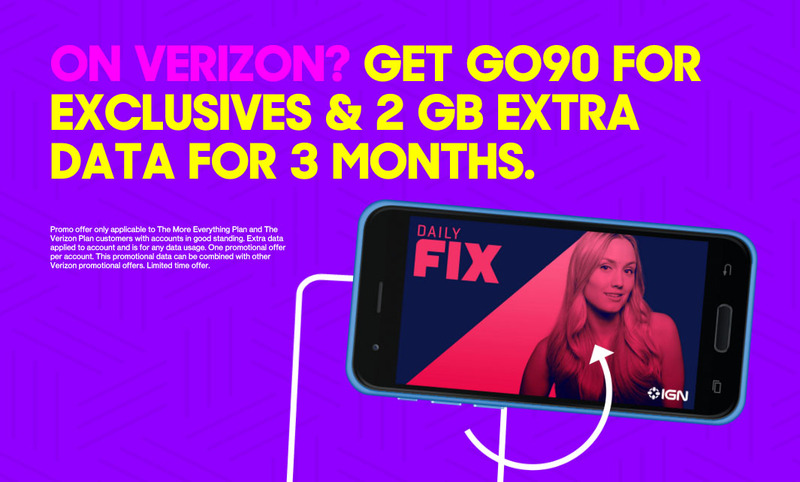 Verizon has this video service called go90. They initially launched a beta version of the app in September before pushing it live for all in October. It’s basically an attempt by Verizon to cash in on the waves of people watching video on their mobile devices. I couldn’t tell you if it is at all successful so far or if it will be, but I know that Tim – our resident mobile video consumption professional – spent 5 minutes with the app and then immediately uninstalled it. I think if I asked him to re-install again, he would quit working for DL on the spot. With that said, Verizon will give you 2GB of free data for the next three months if you install the app and sign-up for an account. After you sign-up and see the free data hit your device, you can then uninstall it and never look back. The extra data can be used for whatever you want, not just go90 streaming. A reader of ours took on the challenge today and said that he received a text message immediately confirming his free data, before further confirming the data was already available in his account moments later. According to Verizon, the free data is only available to people on MORE Everything or The Verizon Plan. For all the specifics on the 2GB promotion, hit up this link.